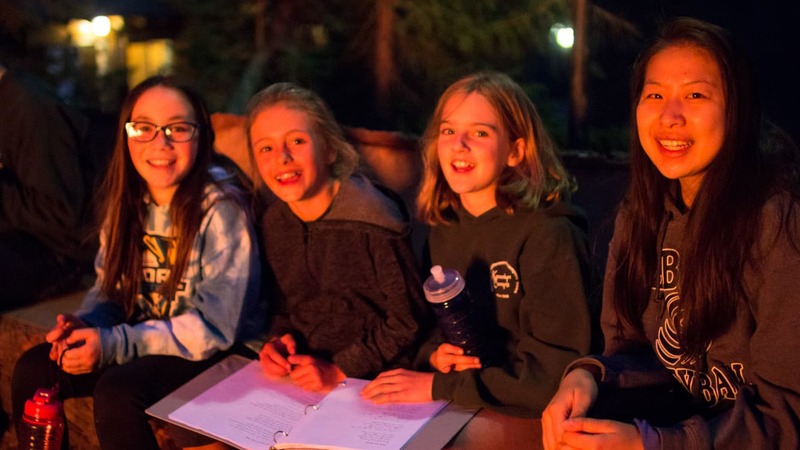 Kennolyn Camps, Huntington Lake offers campers the chance to explore a wide variety of lakefront activities as well as take advantage of everything else a summer camp should be. Special friends, amazing location, good food, wide range of things to do, and caring staff who are fun to be with. Located on Huntington Lake in the town of Lakeshore, CA, Kennolyn is a perfect setting for a summer camp adventure. Cabins accommodate up to 16 campers and 2 counselors in comfort. We eat on the open air dining deck under the shade of Pine trees. Campers may have an activity scheduled in the Huntington Room or the Crafts shop but most of the day is spent outside. The highlight for many campers in the early morning or late afternoon is to relax in the comfort of the Caldwell Lodge. Access to the sparkling waters of Huntington Lake is via our private dock and boat house. The sheltered cove offers a great place to practice before heading out onto the lake itself. Our camp property is located within the Sierra National Forest! Surrounded by wilderness areas to explore and discover, Kennolyn Camps, Huntington Lake is the perfect place for summer adventures.